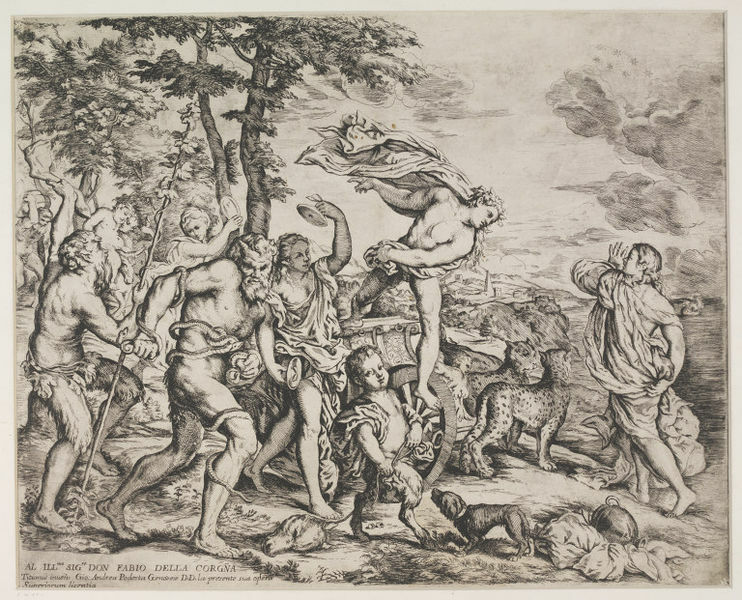 Bacchus and Ariadne; After Titian; Print on paper. After the painting by Titian (1520-3), now in the National Gallery, London. 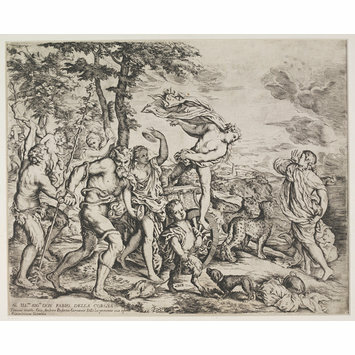 Bacchus and Ariadne; After Titian; Print on paper; By Giovanni Andrea Podesta; Italy; 17th century.